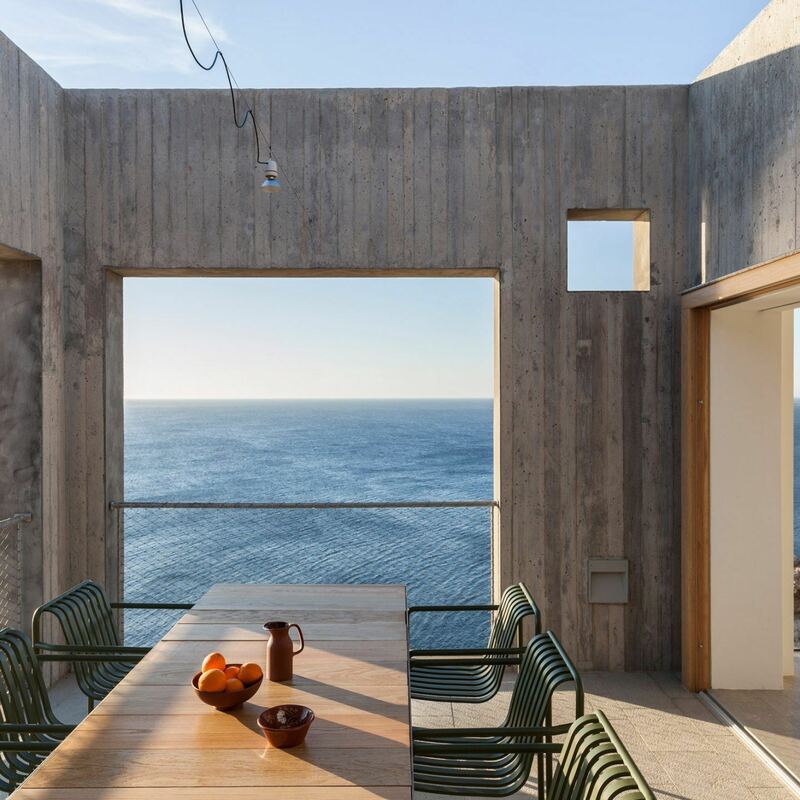 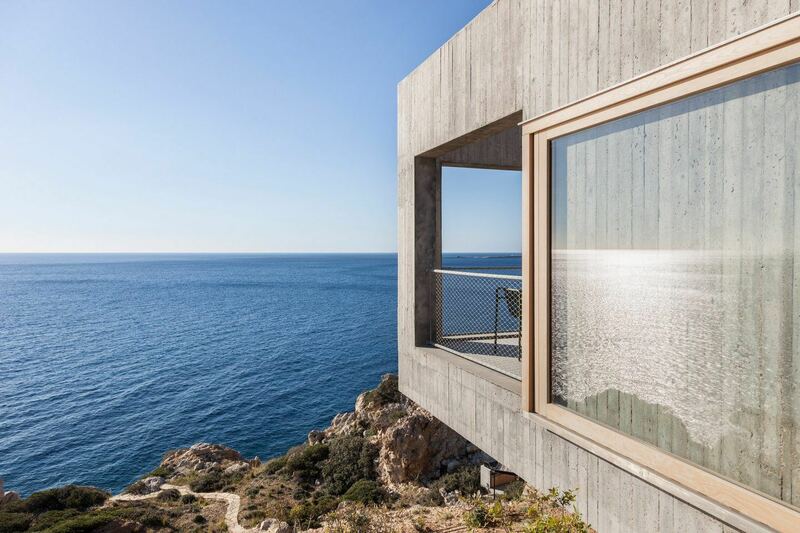 On the Greek island of Karpathos, Stockholm-based architecture office One Of A Kind Architects (OOAK) has designed a board-marked concrete home, titled ‘Patio House’, that cantilevers out over a rocky cliff edge. 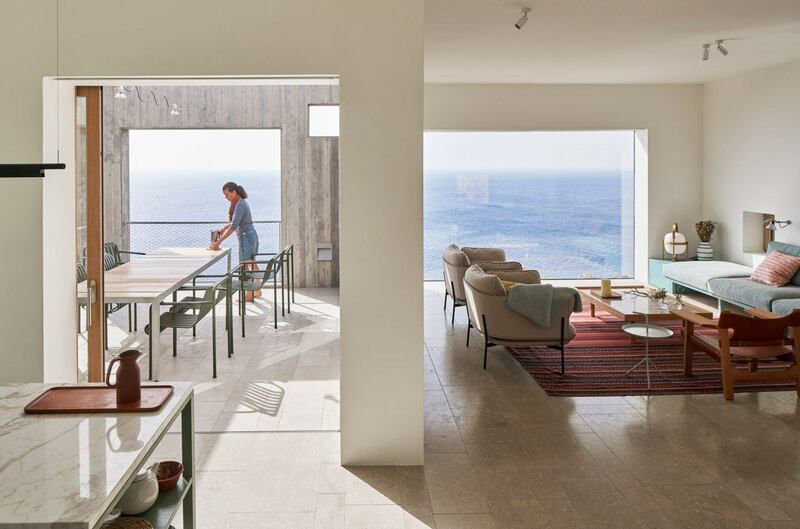 Karpathos, the second-largest of the Dodecanese islands, is known for its pristine beaches and natural landscapes; important elements in the home’s conception. 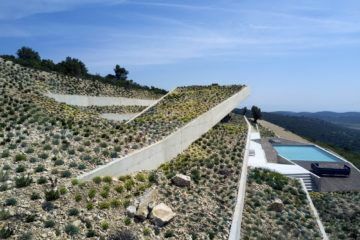 “The sparse, untamed, and dramatic local landscape was the starting point for this project”, explains the firm. 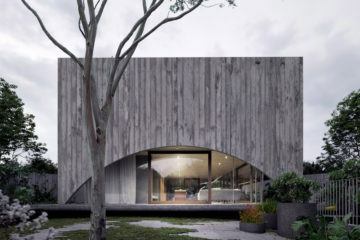 Yet rather than trying to make the house minic or blend into the landscape, “the house is introduced as a foreign object enhancing the site’s unique and rough character”. 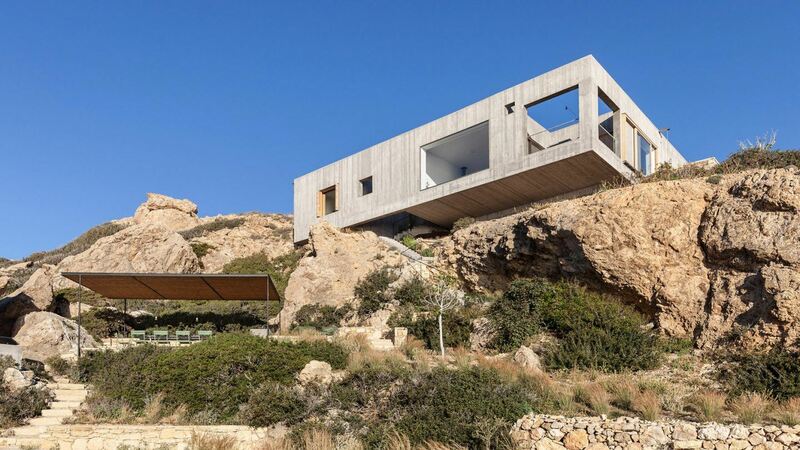 The textured rocks slope on a steep angle that meets the sea, forming two flatter areas. 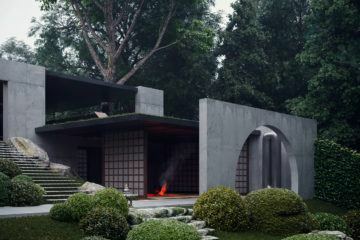 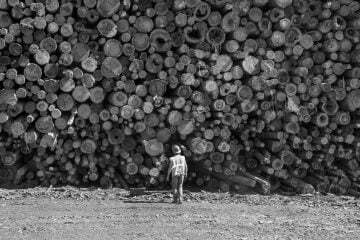 “Although still perceivable as two distinct elements, together [the house and landscape] create a new entity and existence”, continues OOAK. 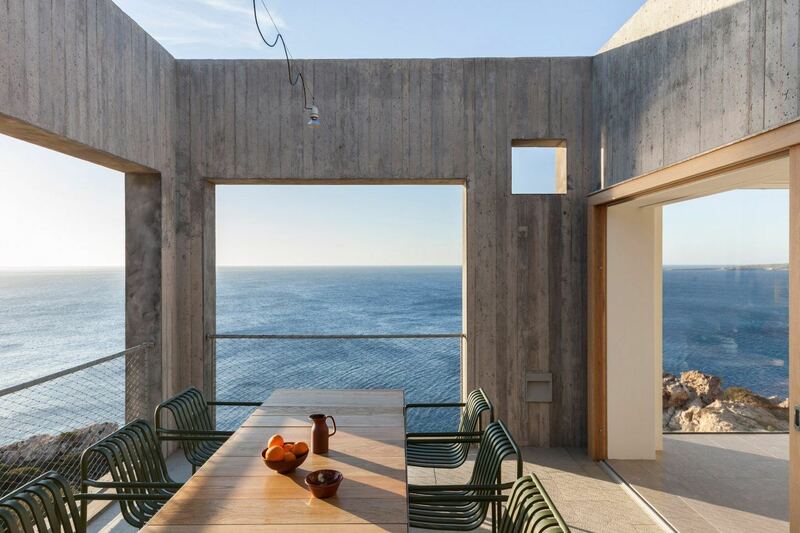 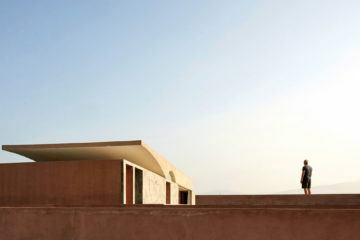 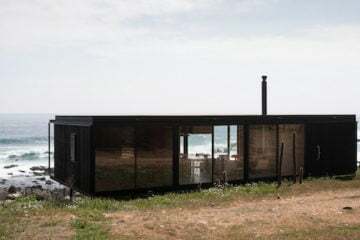 Due to its elevated positioning, from the inside, the house seems to extend out over the ocean. 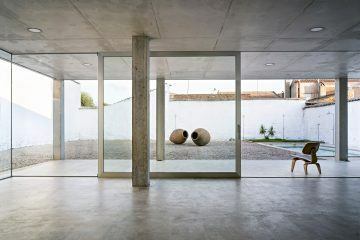 Strong winds were a consideration, so in order to have a useable outdoor space, the living areas were designed to surround a sheltered patio. 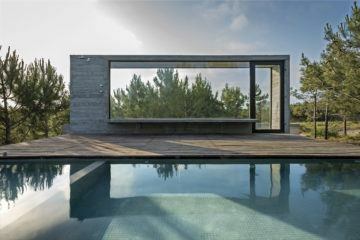 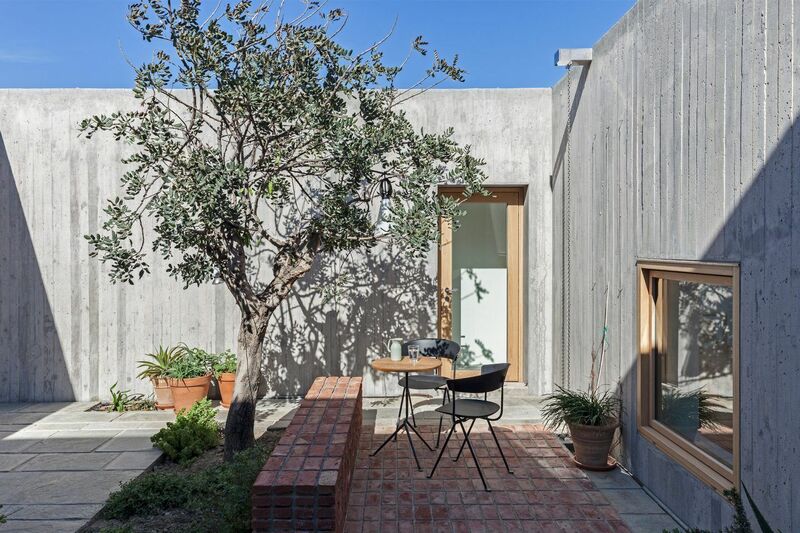 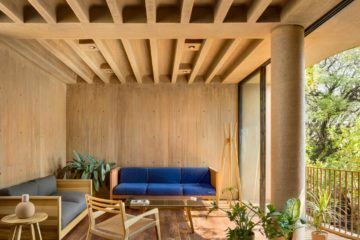 “The open and enclosed spaces interchange to enhance the experience of the house and its surrounding landscape”. 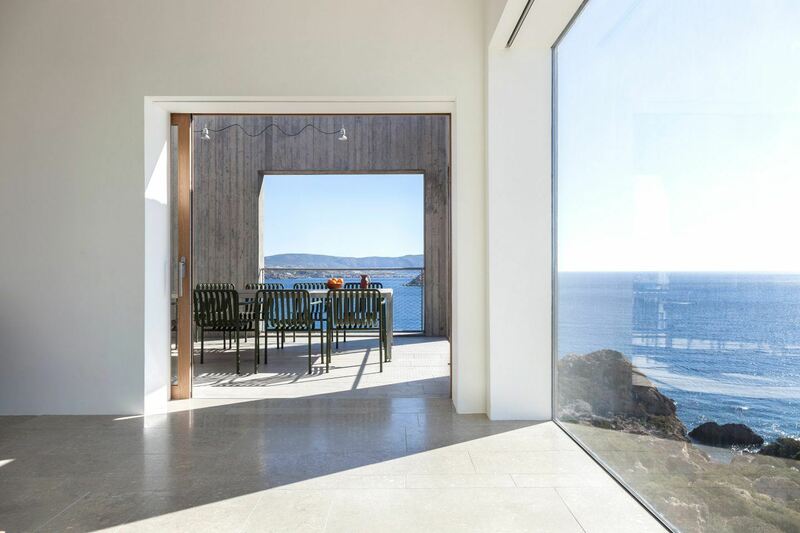 Windows are distributed throughout the property to frame unique and specific views of the sea and landscape.